A rustic, medium-bodied red wine, this wine has a soft, rich texture, silky tannins, and flavor filled with ripe plums, currants, cherries and red berries. 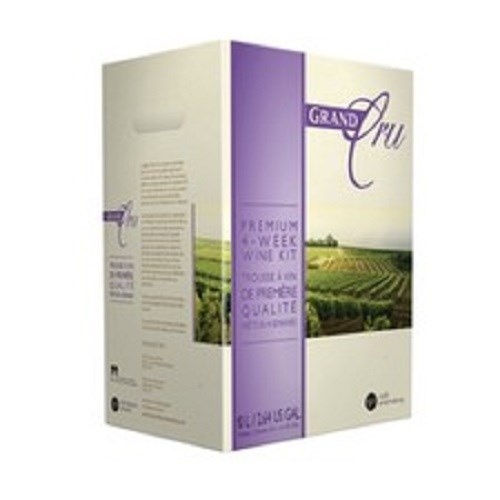 Grand Cru brings together the advantages of varietal grape juice, with the convenience and value of a 10-litre, 4-week wine kit. From the first swirl to the final sip, you will surely discover a style to suit your individual taste. Made several times also and I am asked to make it again and again.